I set up a table outside A-Space Anarchist Community Center. People ask, ‘how much is this?’ I say–if you like it, I’d appreciate a contribution so I can keep making art… it’s what you can afford. The value of art can’t be measured in money–only in love and appreciation. Make me an offer… and it’s yours. At first people don’t take me seriously. Have to educate people to think outside Capitalism. 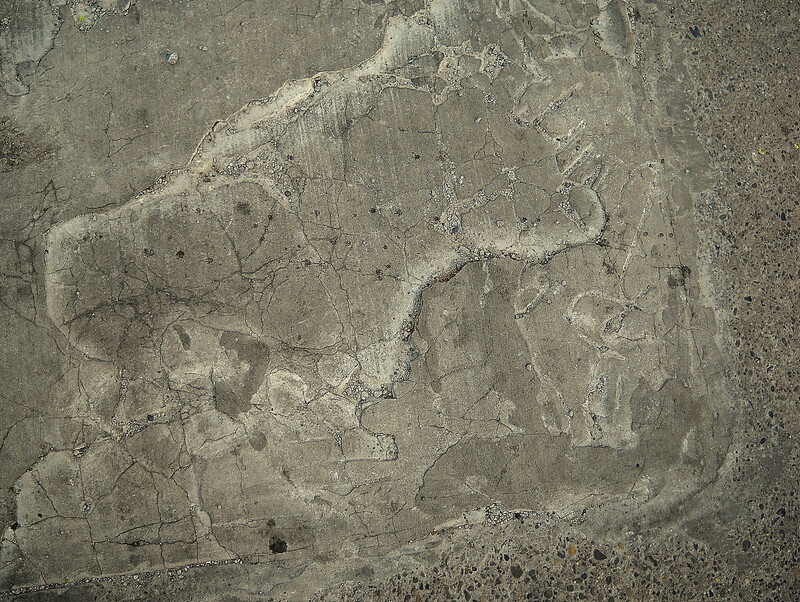 Photo below, a section of weather-and-wear broken concrete near by. These textures are my inspiration. Some paint landscapes from a hill top. I find my art in a few square inches at my feet. Won’t this make a fine Silverpoint! Posted on April 18, 2016 April 18, 2016 by wjacobrPosted in Art, Art & Capitalism, Goby's Journal, Pavement Series, SilverpointTagged Art, Willard Art. Jacob, I agree in that the essence of art truly can not be bought nor sold! One can fall in love with the art, or not. And its great that you are able to let people pay what ever they want to, for the art they like. I’ve had a couple bad experiences, and so no longer fully trust their idea of good fair value. – Plus, its the only way I eat! lol These days, when the spirit whispers… I’ll ‘gift’ the artwork to a person. we are both happier. I’m fortunate that I can survive on Social Security. Of course, there’s nothing wrong with selling one’s art–we own the means of production, and the labor is our own, so we’re not being bloody capitalists! 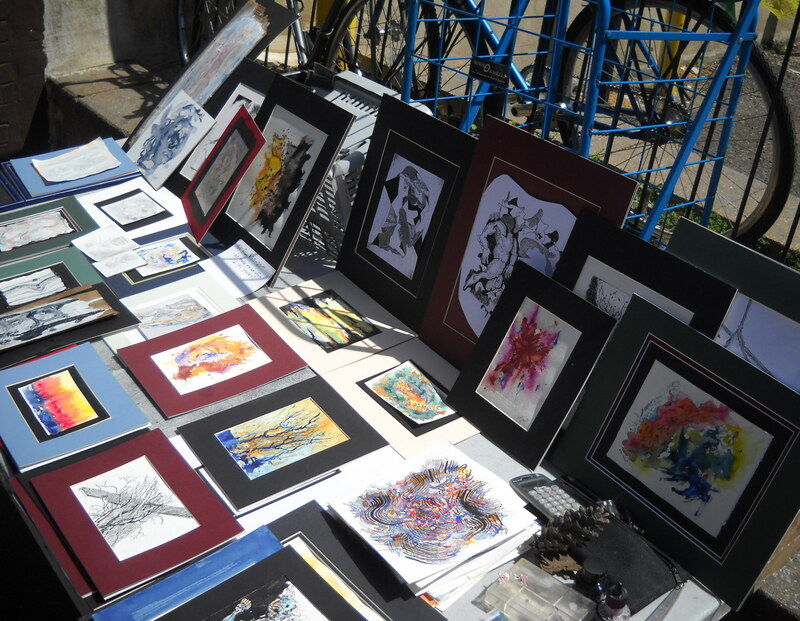 What I do on the street — especially in a neighborhood where there are many people struggling to make ends meet–isn’t what I’d do in a gallery–or even on 2nd Street in Old City on 1st Friday. There, I might well name a price equivalent to how the piece might be tagged in one of the many galleries on that street. If–on seeing a person’s visual disappointment, I make my offer…it’s wonderful how hearing the price will raise a person’s estimation of what they can afford. If someone tells me that they expected street art to be cheaper than the galleries (this happened! ), I’ll double the quoted price. Townhouses in that area go for multi-millions. Rich dudes who want to bargain me down, will get a higher price every time they try. thats what I ran across. those with surplus of cash for their frequent holiday trips etc…. yet, were ‘horrified’ a 4×3 foot original was $250 – this was using all archival paints, so I wasn’t making any money on the thing. made me feel pretty low.